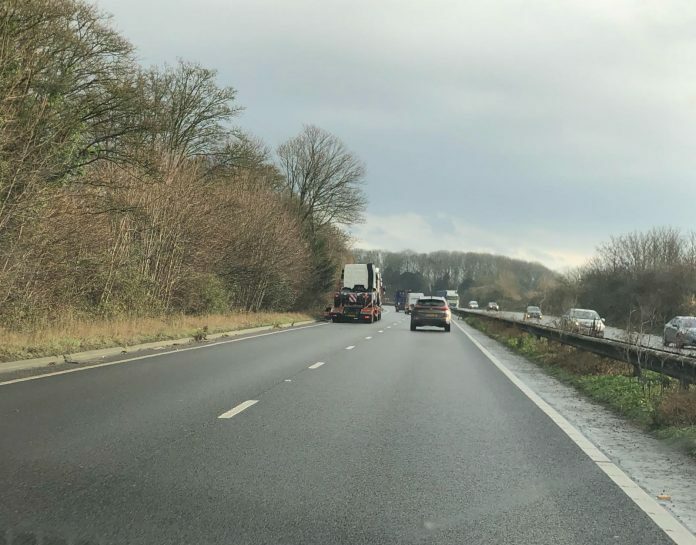 A lorry is blocking the inside lane of the A303 eastbound this lunchtime. The lorry has stopped just before the exit for Winchester Road. Drivers are advised to be aware.